Béla Guttmann was the first superstar football coach, achieving his greatest successes before Pep Guardiola and José Mourinho were even born. He was also a Holocaust survivor. In 1944, he hid in an attic near Budapest as thousands of fellow Jews in the vicinity were being deported to Auschwitz. He then escaped from a brutal slave labour camp. His father, sister and wider family perished at the hands of the Nazis. But by the early 1960s, Guttmann had completed the most remarkable turnaround, twice winning the European Cup as coach of Benfica of Lisbon. 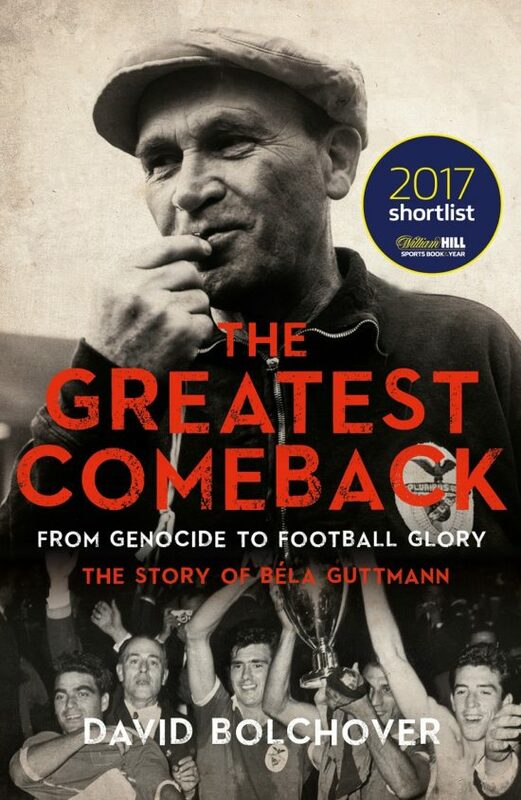 In this talk, David Bolchover will trace Guttmann’s background and extraordinary career, and discuss some broader themes thrown up by his recent book The Greatest Comeback: From Genocide to Football Glory. For example, why was so little known until now about the Holocaust experiences of one of football’s most celebrated figures? How does the Guttmann story challenge commonly held myths about the Holocaust? Why is there so little recognition of the massive contribution of European Jews to football before the Holocaust? The evening will begin at 5.30 pm for drinks and nibbles, and the talk will last from 6pm – 7.